As a division of Johns Hopkins University, Peabody believes there is more to developing musicians than practice, practice, practice. It takes a broader knowledge of culture, art, history, and philosophy to really understand and perform great music, so an intellectually rigorous academic program in the liberal arts has long been a hallmark of a Peabody education. As a Peabody student, you will fulfill 30 credits of Liberal Arts courses. Most students will enroll in a two-year Core Curriculum (12 credits); you may petition to substitute designated courses at Homewood or other institutions in place of the Core Curriculum. Students needing intense writing instruction will take six credits of Writing Intensive before beginning the Core Curriculum. After completing the Core Curriculum, you will take the appropriate number of additional Liberal Arts courses to reach 30 credits. At least one of these courses (or three credits) must be a class at the .300 level, indicating a course that engages with secondary literature or requires a substantial research paper. While you may take some at Homewood or elsewhere, Peabody’s Liberal Arts Department provides a rich and rigorous menu of courses designed specifically for Peabody students. A regular rotation of electives (including languages) will be offered by the Liberal Arts Department to meet the additional credit requirements. U.S. History and Introduction to Psychology–required for Music Education students–will be a staple of the curriculum. The Language Program will offer full-year six-credit courses in French I, German I, and Italian I, as well as German II, to meet the requirements of Peabody Voice majors. Language courses at Peabody will be focused primarily on language acquisition. Languages may be taken as electives to meet Liberal Arts requirements after completion of the Core Curriculum. Peabody undergraduates are encouraged to fulfill their Liberal Arts requirement with courses offered in the School of Arts and Sciences at Johns Hopkins University. Attendance is essential to student success in our classes. Students with excessive absences cannot pass our courses. Students are advised to withdraw from a class rather than fail due to poor attendance. Individual instructors will explain how their specific course rules abide by this policy. Adam Culver received his PhD in Political Science Department from Johns Hopkins University in 2015. He received his B.A. in Political Science from Grinnell College in 2005 and his M.A. in Political Science from Johns Hopkins University in 2007. His research interests are situated at the intersection between comparative racial politics and contemporary political theory, and his work engages an array of intellectual traditions, including Greek Tragedy, German Romanticism, Afro-American prophecy, continental philosophy, critical race theory, post-colonial studies, Black Nationalism, and agonistic pluralism. He is currently working on a dissertation titled “Race and Vision: A Tragic Reading” that explores a set of creative intersections between romanticism, Nietzschean thought, and black politics in thought and action. When he is not teaching, researching, or writing, Adam enjoys working on music and DJing at various venues throughout Baltimore City. He was named “Best DJ at a Club” in 2008 by the Baltimore City Paper and has performed with numerous recording artists, including DJ Scottie B, The Death Set, Leif, Das Racist, Spankrock, and Diplo. 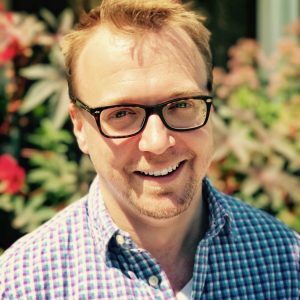 Robert Carson received his PhD in English from Johns Hopkins in 2015 and is working on a book project on ethos and political commitment in the works of Wyndham Lewis, George Orwell, C.L.R. James, and Doris Lessing. 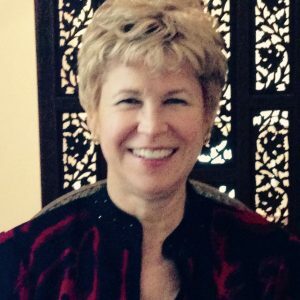 Carol Haddaway is a part-time faculty for the ESL 1 classes. 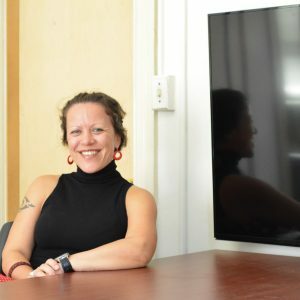 She most recently served as a Senior English Language Fellow of the U.S. Department of State at Yangon University in Myanmar and in similar postings in Belarus, Ukraine and Syria where in addition to teaching English, she conducted teacher training methodology, developed curricula and materials. Carol started her ESL career with Anne Arundel Community College as an ESL Instructional Specialist and was also an adjunct teacher trainer with UMBC in the e-Teacher Scholarship Program and the English Language Institute. She also worked as a project officer in the Asia/Near East Divisions at Johns Hopkins University Center for Communication Programs in the School of Public Health. She holds a M.A. degree in Instructional Systems Design, ESOL Bilingual from the University of Maryland (UMBC) and a M.Sc. degree in Applied Behavioral Sciences from JHU. Laura Kafka-Price, instructor of French, earned a PhD in musicology from the University of Maryland at College Park and degrees in voice and French from University of Alaska and MethodistUniversity in NC. She has taught music and foreign languages at various levels of instruction including University of Maryland College Park, Georgetown University, Shippensburg University and L’École d’Immersion Française Robert Goddard. She has articles and reviews among her publications and numerous concert and recital engagements. Deborah McGee Mifflin is Associate Teaching Professor in the Department of German and Romance Languages and Literatures of Johns Hopkins University, where she serves as the German Language Program Director and Graduate Teaching Assistant Supervisor. She has studied at the Universität Hamburg, Temple University (BA, MA), and Georgetown University, where she completed advanced graduate study in applied linguistics and second language acquisition in German. Her major areas of interest are the theory and practice of adult foreign language learning and teaching, second language acquisition, classroom interaction, and L2 oral production, as well as contemporary German issues. Her interest in contemporary German culture and classroom instruction is reflected in her co-authored advanced German textbook publication, Was ist deutsch? Working with the German Embassy in Washington, DC, she organized Homewood campus events as part of the initiatives Freedom without Walls (2009), Do Deutsch (2010), Think Transatlantic (2012) and 25 Years Fall of the Wall (2014). Most recently, Professor Mifflin was elected to the Executive Council of the national organization, American Association of Teachers of German (AATG). Jelena Runić coordinates the ESL Program. Runić obtained her Ph.D. in linguistics from the University of Connecticut. Her research interests include both theoretical and applied linguistics. In theoretical linguistics, she has worked on the morphosyntax of Slavic, Romance, Balkan, and East Asian languages. Oliver Thorndike (Ph.D. Johns Hopkins University, M.A. Humboldt University, Berlin, Germany) specializes in the 18th and 19th Century history of philosophy and the philosophy of art. He is the author of the book “Kant's Transition Project and Late Philosophy. Connecting the Opus postumum and Metaphysics of Morals” (Bloomsbury, 2018). Among the courses he has taught at the Liberal Arts Department are: 260.115 Humanities I; 260.216 Humanities II: Seminar in Philosophy of the Arts: Immanuel Kant's Theory of Beauty, Art and Genius; 260.359 Humanities III: Introduction to the Philosophy of Art; Humanities IV: E.T.A. Hoffmann, Richard Wagner, Johannes Brahms. 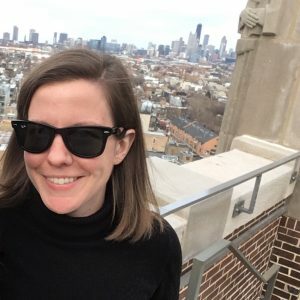 Heather R. Wilpone-Welborn received her PhD in American History from the University of Illinois at Chicago in 2018. She received her M.A. in Social Science from the University of Chicago and her B.A. in History from the University of Virginia with high distinction. She is currently working on turning her dissertation, “Revenue Revealed: A Race and Class Analysis of Federal Taxation 1861-1877,” into a book manuscript. Her article, “Finding Labor History in the History in the Capitalism” was published in 2017 in the journal Labor: Studies in Working-Class History of the Americas (Duke). 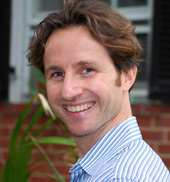 Alessandro Zannirato is Associate Teaching Professor and Director of the Italian Language Program at the Johns Hopkins University; he received his PhD from the School of Languages and Literatures of the University of Cape Town, South Africa. An applied linguist and conference interpreter by training, his research interests include foreign language pedagogy, program evaluation, interpreting, and L2 teacher training. Before coming to Hopkins, he taught foreign languages to music and voice students at Alla Scala Academy in Milan, Italy, and at the South African College of Music in Cape Town.